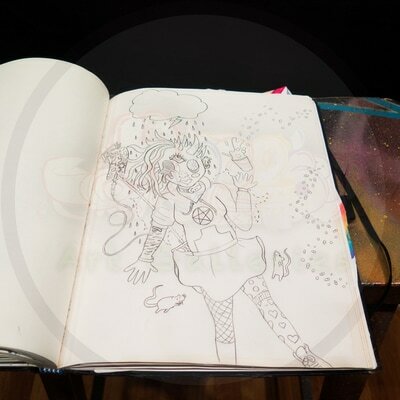 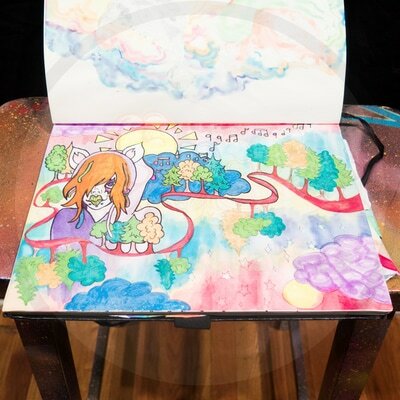 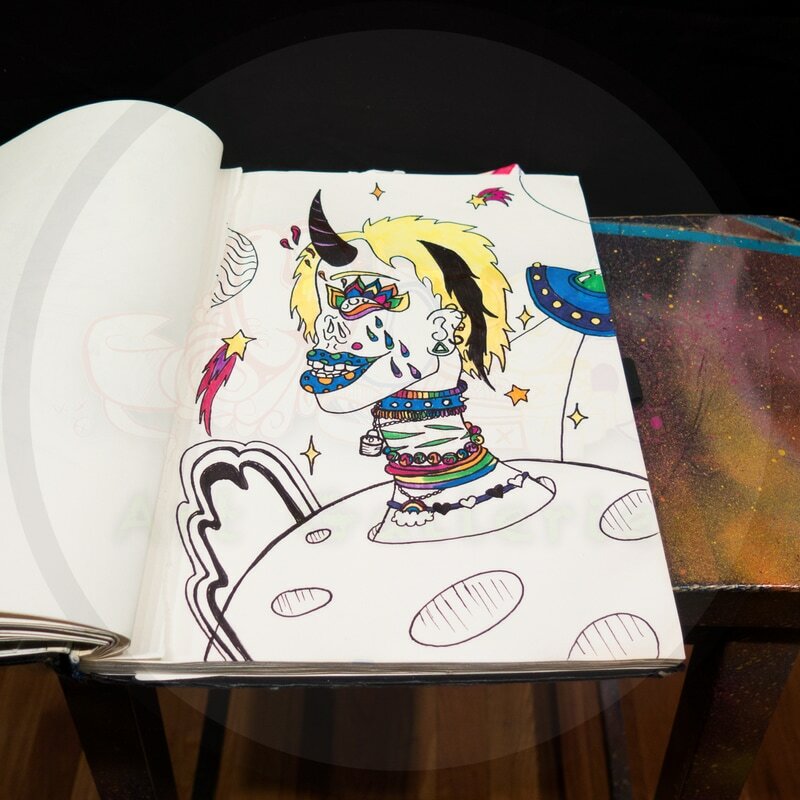 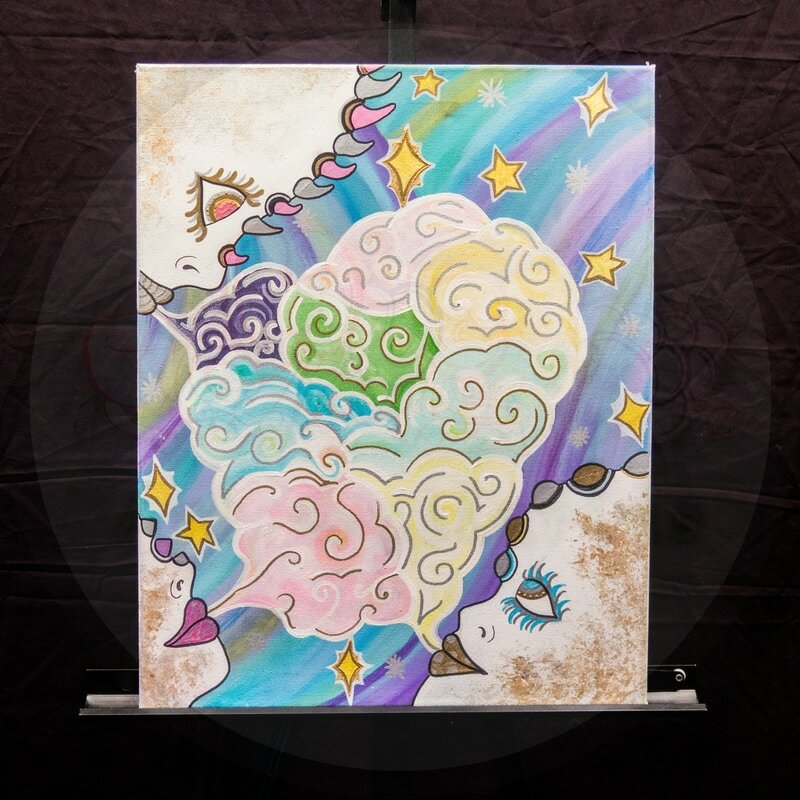 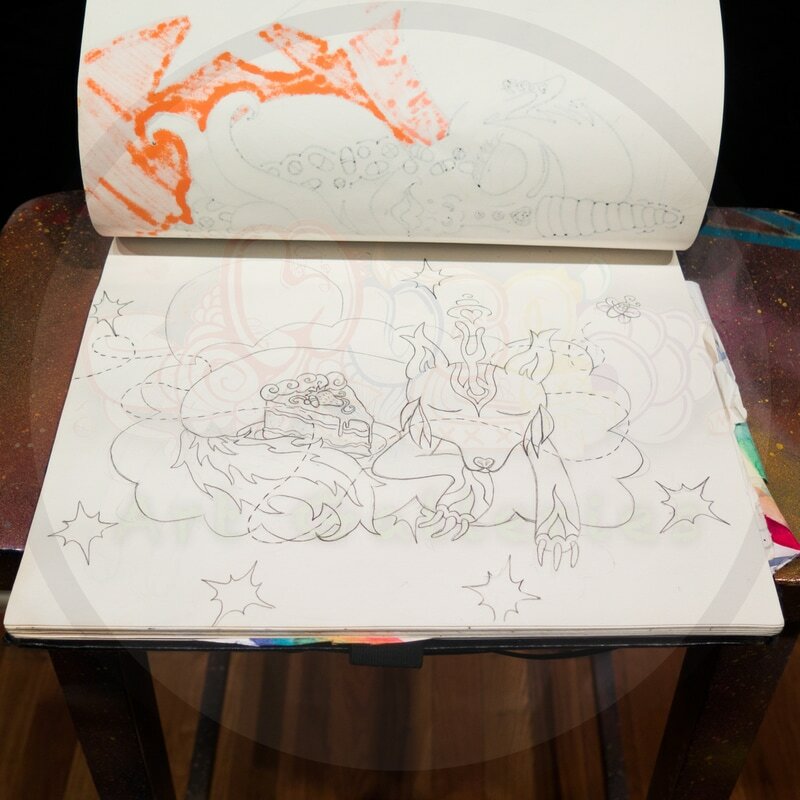 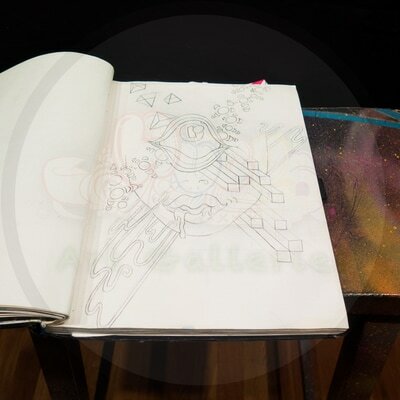 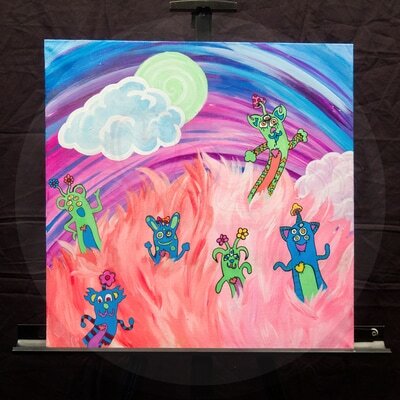 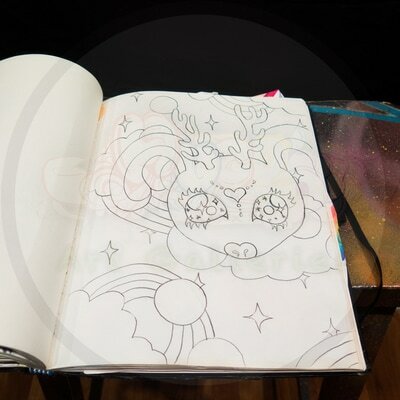 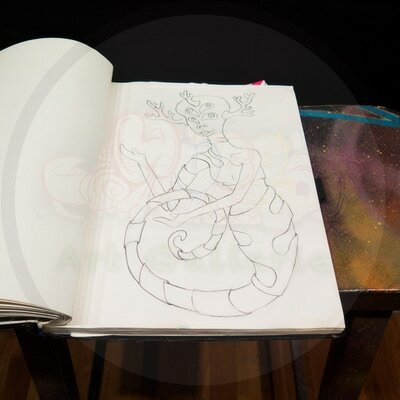 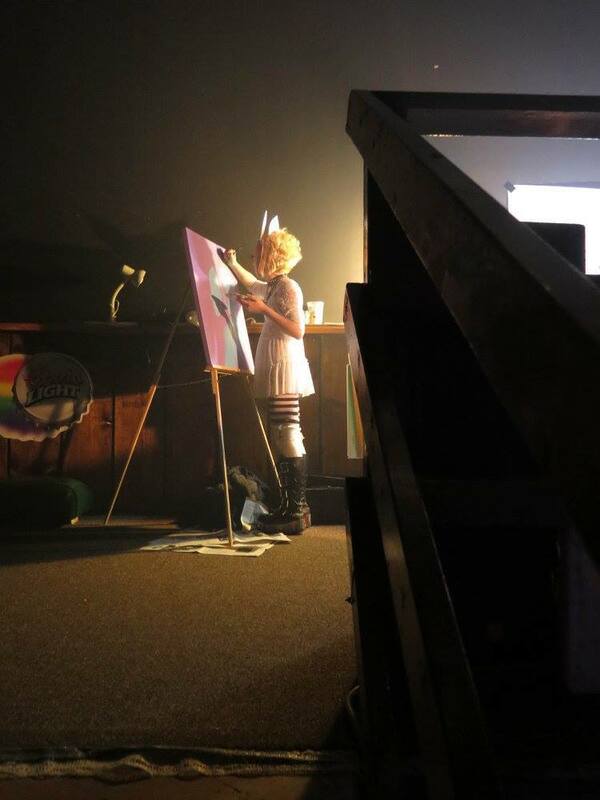 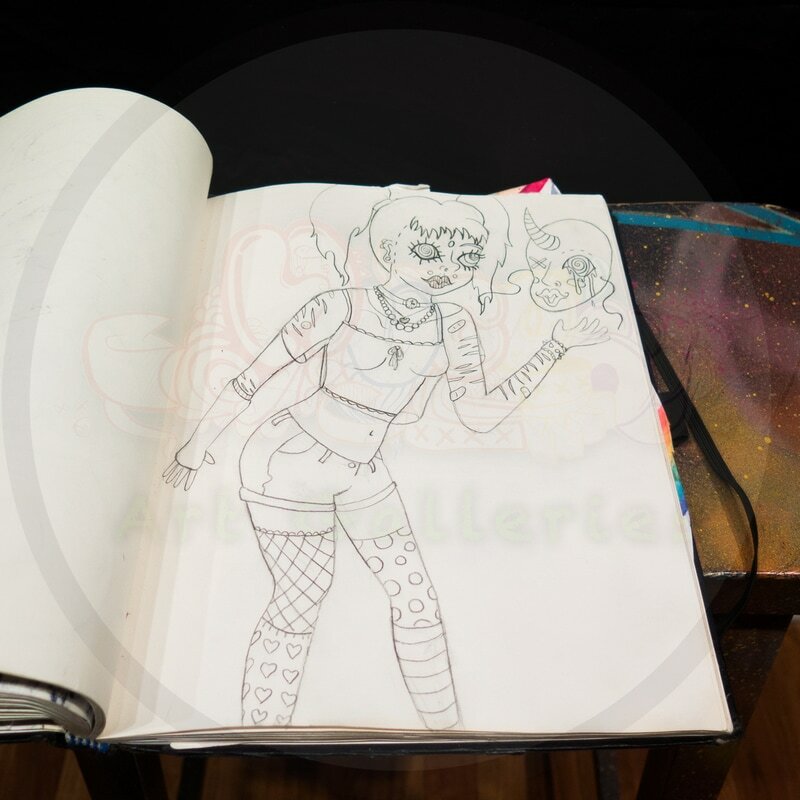 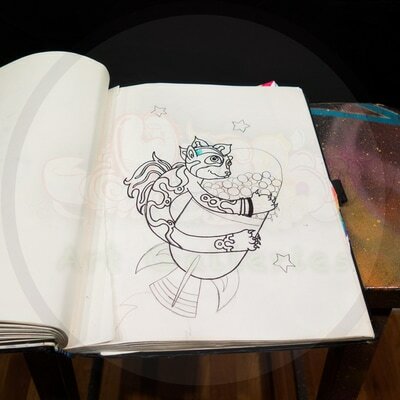 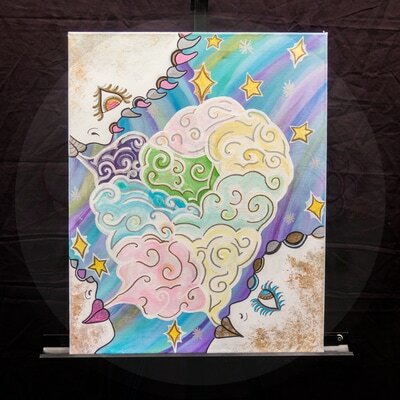 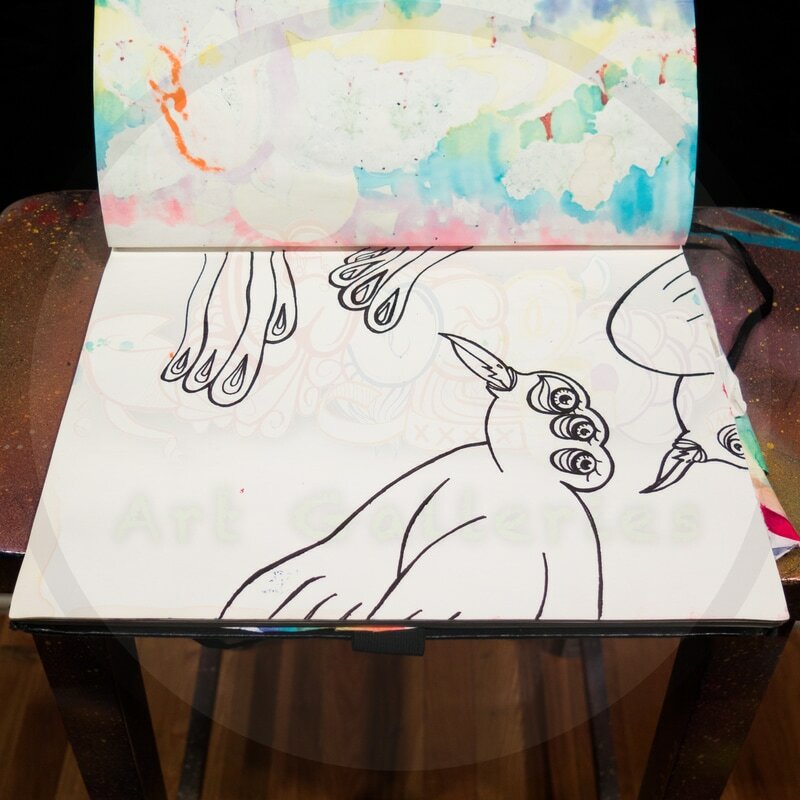 ​Cake the Jackalope began creating art when she got a book on drawing anime in her youth. 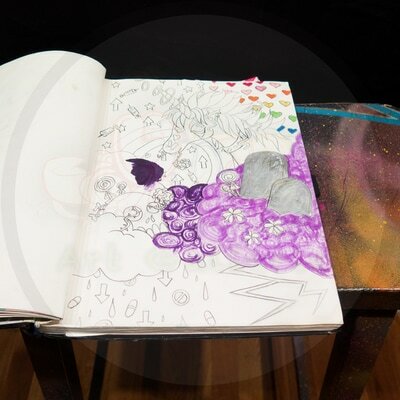 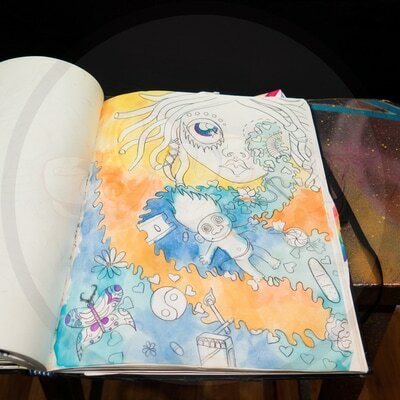 She said that it surprised her as she thought, “Oh my god, I’m drawing.” She continued creating art into High School and sold her first piece to her art teacher. 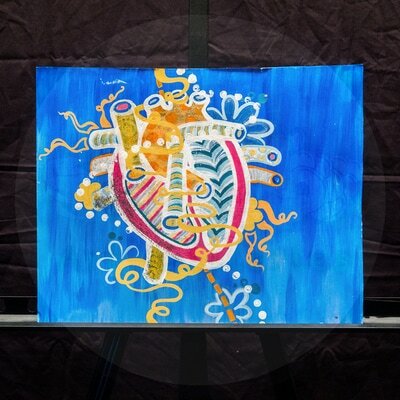 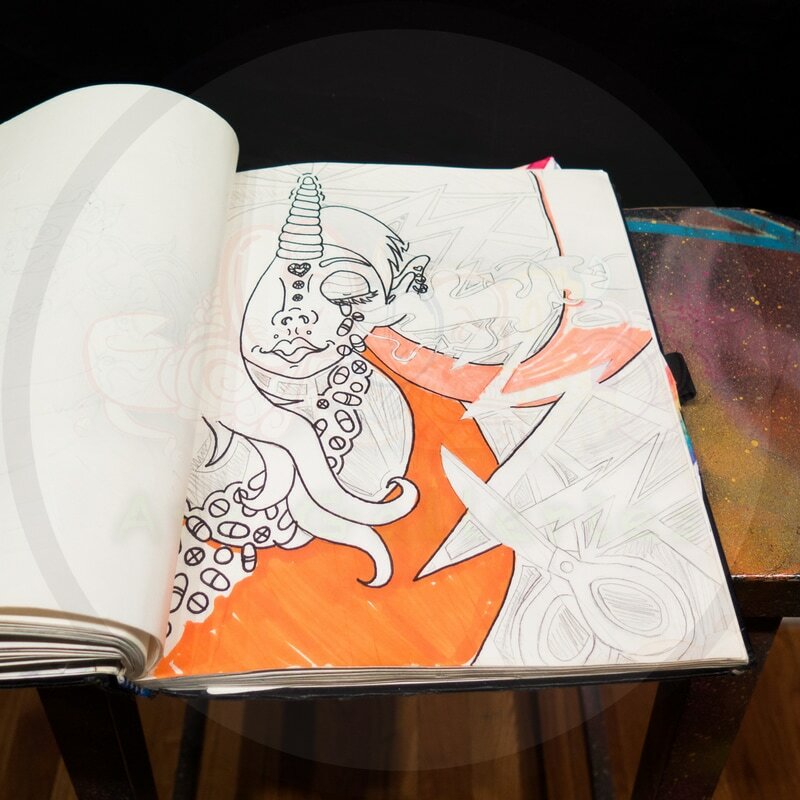 She said of the piece, “I liked it because it reminded me of jazz music.” She has shown her pieces at an artist showcase at Pepe’s in Lincoln, NE, as well as was featured creating live paintings at Fallout Festival in 2015 and at Wonder: The Mad Hatter’s Ball in 2016. She also performed live body painting at Furtopia in 2015. 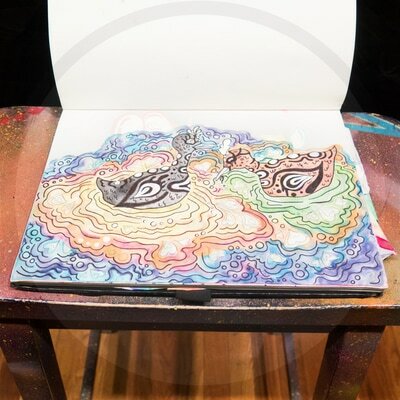 She is also an electronic dance music (EDM) DJ having performed live sets of Footwork, House, and Fidget styles of EDM. 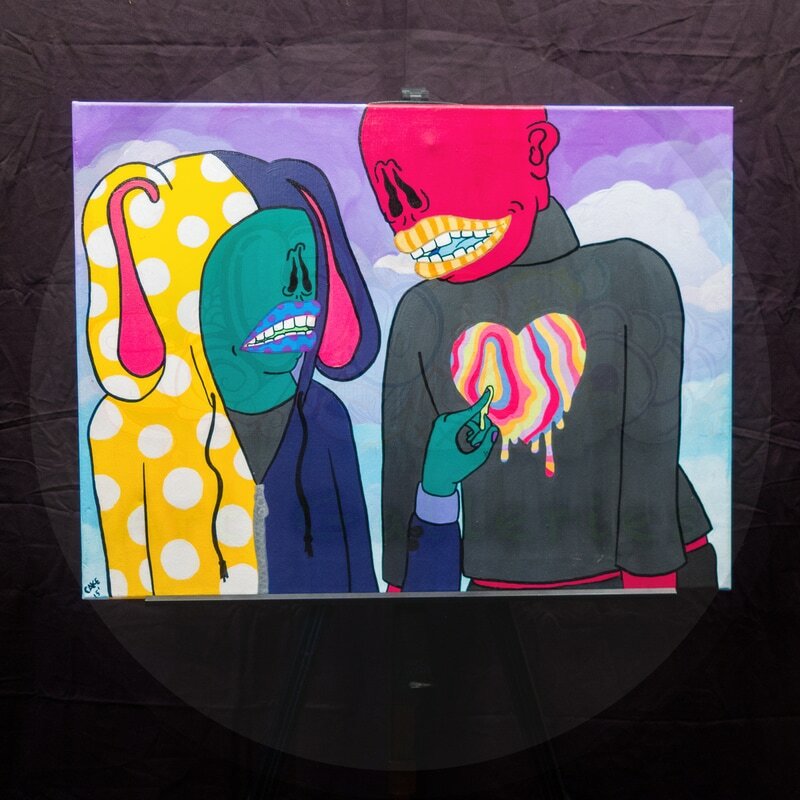 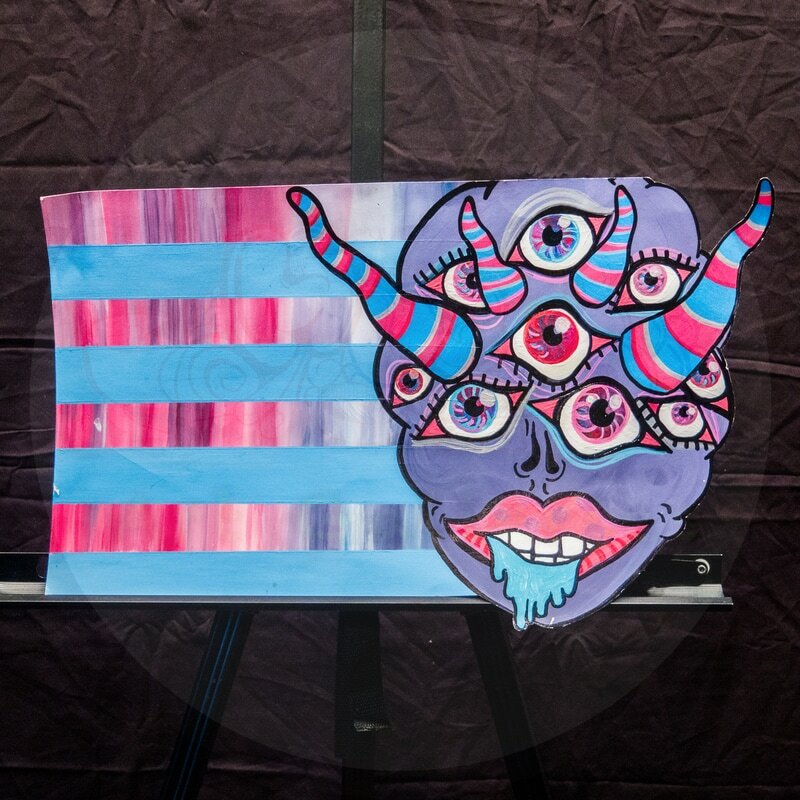 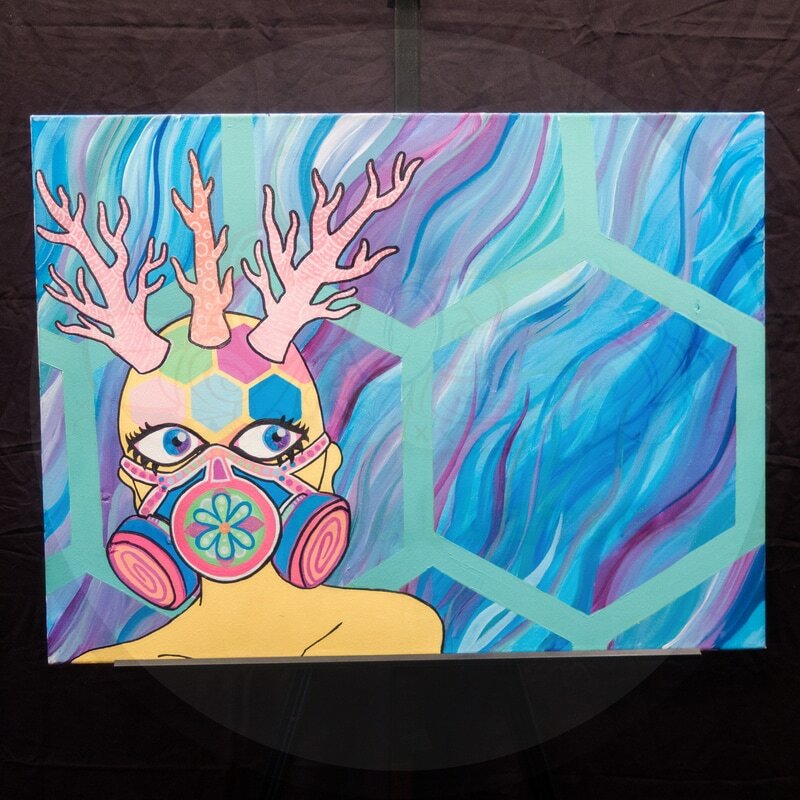 She will be experimenting with Downtempo and Intelligent Dance Music (IDM) for her and JoJo Magnolia’s live painting and music show on February 11th at Harney Street Gallery. 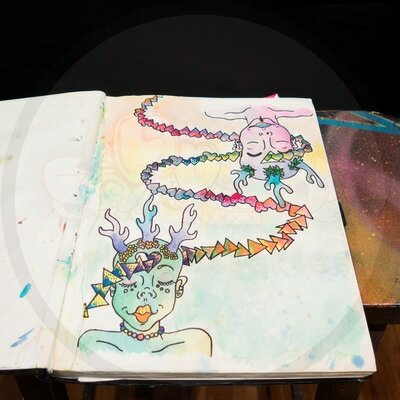 ​Art is more of a lifestyle for Cake. She said for her art is any expression of the soul.